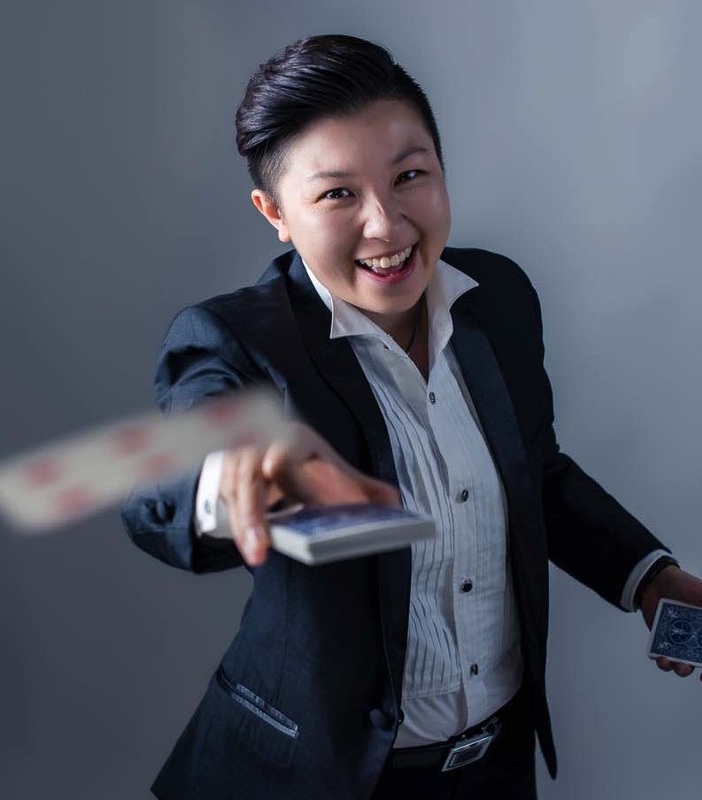 Australian Born Chinese Keynote Speaker Tracy Tam (aka Trace of Magic) has been leaving traces of magic and touching the hearts of her audiences with her hilarious and mesmerising performances captivating their minds around Australia through the art of magic. Aside from dazzling the minds of her audience as an experienced performer; Tracy has discovered the common thread between the worlds of business and magic. She has the ability to weave in powerful messages into her magic to inspire your audience. Her goal is to uplift, inspire and empower them and leave them feeling a sense of wonder; feeling that “anything is possible” and to think differently, find solutions outside the box. Weather in Business or in Life anything could be achieved if we apply the right mindset and having the right attitude. This simple method is one the secrets to creating your own magic in business and/or in your own life; and it has been overlooked by many, how powerful our minds can be by applying the simple methods repeatedly. Tracy explains using Magic is a metaphor to demonstrate the seemingly impossible. She highlights this concept by performing interactive magic with your audience and involving them first hand on how we can use our minds to achieve the impossible. Through several powerful exercises, Tracy is able to break down the barriers that we have in our minds, which hold us back from accomplishing truly amazing things. Trace ends the presentation and leaves your audience on an extremely high note by finishing with a quote that ties everything together, “Magic will only happen to those who BELIEVE in it!”.